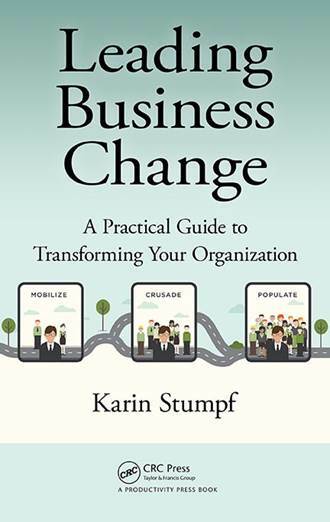 Dr. Karin Stumpf´s new book Leading Business Change - A practical guide to transforming your organization provides leaders with best practices while dealing with organizational change. Contact us and get to know our Change Management Consultancy. Interested in discussing your change management requirements further?